Originally, G&W Packing Company was founded by George Wagner in 1963. 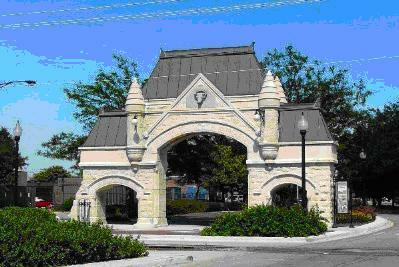 The facility is located in the historic Chicago Stockyards, the “meat capital” of the United States and the birthplace of some of the earliest international meat companies. In 1979 George sold the company to Paul Summers who worked with the Chicago Health Care Council beginning in 1980 to become an approved supplier of center of the plate items which was a key focus of the company for many years. Paul branded the name “Chicago Steaks”. Chicago Premier Meats, Inc., purchased Chicago Steaks in January of 2011. The new owners of Chicago Premier Meats have nearly 100 years of expertise in the food industry with extensive expertise in manufacturing, product development, seasoning blends, tenderizing, portion control and packaging. Today Chicago Premier Meats still produces a full line of quality meats, including beef, lamb, pork, veal, chicken, and turkey products cut in various forms. Additionally, we now also provide innovative and specialty products to various food channels. Under the new ownership, the product lines have been expanded to include a line of marinated Hispanic “Center of the Plate” meats including Carne Asada, Beef Fajitas, Diced Beef Steak Taco Meat, Premium Chorizo, Chicken Fajitas and a variety of new ethnic cuisines are in development. These products are available both in a retail ready format as well as in food service packs. Finally, Chicago Premier Meats excels in customized product development for our clients. Our experience and reputation stand behind every product we produce. All of our products are expertly processed for complete customer satisfaction. We welcome working with you to develop your specific needs. To find out more, please contact us at 773-847-5400.